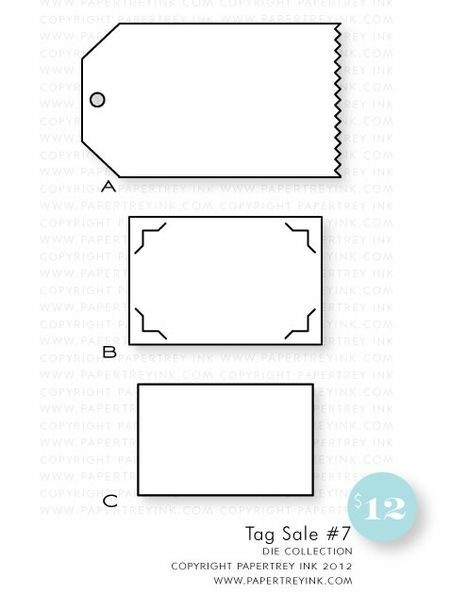 Frame images and sentiments are two items that are staples in most paper-crafters' arsenals and we're excited to bring you a few more options in that department today! And not only that, we've got a little something to share that's sure to help you feel better when you're a bit under the weather. Comfort food at it's best, soup and ice cream are just what the doctor ordered! Heather Nichols has done it again with this versatile & stylish addition to the Framed Out collection. 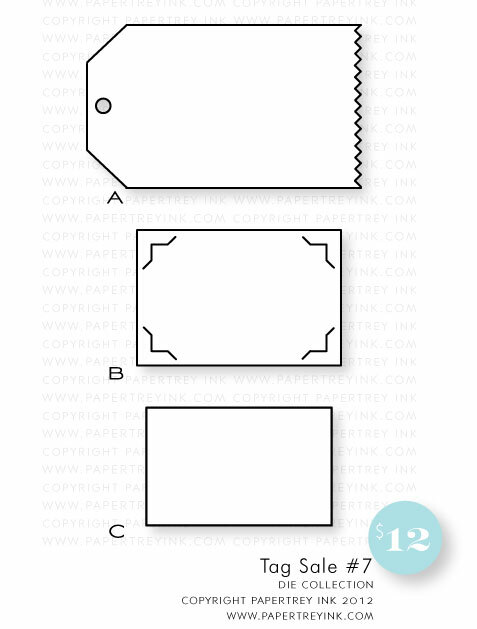 This is the tenth in series of frames that coordinate with a center cut out frame die cut. The center cut out can also be used with a coordinating image included in the set. Use the frames by themselves or combine both as well as the sentiments to add just the right detail to your paper crafting projects. 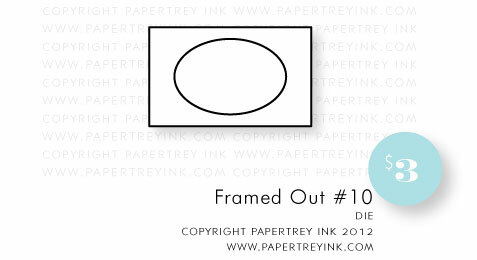 Framed Out #10 features a rectangular frame with a pretty floral pattern and oval center piece. Build your collection and build the possibilities! Framed Out #10 will be available for purchase on November 15th. Framed Out #10 contains a total of 6 images. The large rectangular frame is 2 3/8” wide and is 1 1/2” tall. The small oval frame image is just under 1” tall and just under 1 1/2” wide. The “missing you today” sentiment is just over 1 1/8” wide and just over 3/8” tall. A coordinating die will be available for sale separately, retailing for $3. This set is a sentiment collection designed by Heather Nichols that is inspired by vintage subway signs. Many commonly used sentiments are included in each block with coordinating sentiments and words. Perfect as a focal point of your card projects or even for the inside, this will become a basic sentiment set that you will reach for again and again. Sentiment Signs will be available for purchase on November 15th. Sentiment Signs contains a total of 6 images. All of the sentiment blocks measure very close to just under 2 1/2” tall and just under 1 1/2” wide. Lexi Daly has created a new set that has just what the doctor ordered – ice cream and soup! This set includes a pint of ice cream and a can of soup, along with a spoon and bowl, served up with several sentiment options in two complementary fonts. Comfort Food is a must for creating delicious get well and feel better cards. Comfort Food will be available for purchase on November 15th. Comfort Food contains a total of 11 images. The "just what the doctor ordered" sentiment measures about 1-1/4 inches wide and 1/3 inch tall. The "feel better" sentiment is slightly bigger than 1-1/3 inches wide and 1/3 inch tall. The ice cream is about 1-1/4 inch wide and 1-1/2 inches tall. And the bowl is a little smaller than 1-1/5 inches wide and 1 inch tall. A coordinating die collection will be available for sale separately, retailing for $5. This collection includes a single die (4 wired shapes). The die measures 4-3/8" x 1-7/8". We're thrilled to be bringing you the next addition to the Tag Sale die family! Tag Sale #7 is a tag with a slightly vintage flair that can be layered as if with pre-positioned "photo corners" for maximum style and detail! Tag Sale #7 die collection will be available for purchase on November 15th. It will retail for $12. Tag Sale #7 contains a total of 3 dies. They meaure 3-3/4" x 2-1/4" (A), 2-7/8" x 1-7/8" (B), 2-1/2" x 1-5/8" (C). My first project today is a bright & bold thank you card using the FABULOUS Sentiment Signs set. I love the design of these sentiments so much and know they will be making their way onto many of my projects! 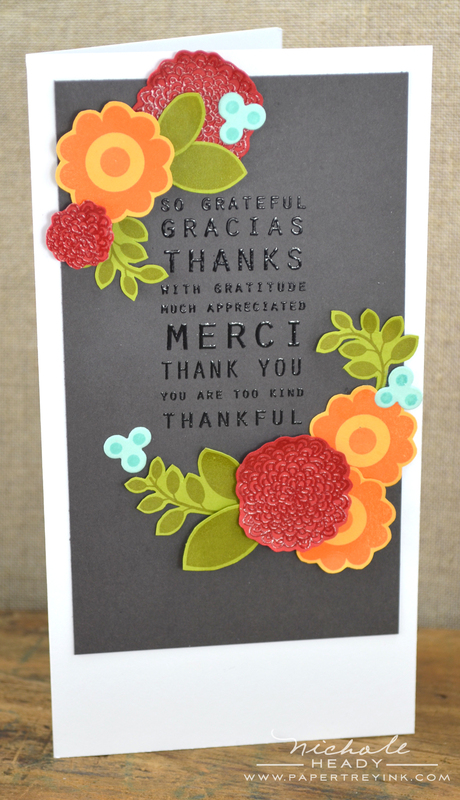 I started by heat embossing the "thank you" sentiment onto Smokey Shadow cardstock using Black Filigree Embossing Powder. 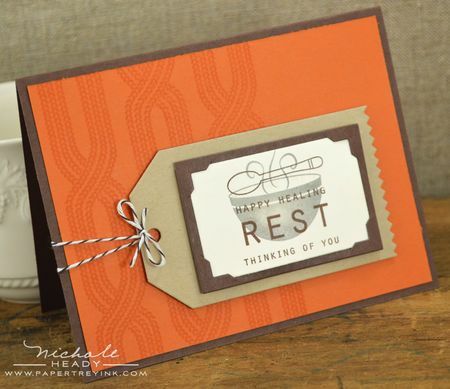 LOVE, LOVE the way these sentiments look when heat embossed! I created flower clusters at each corner of the card. The leaves are from Blooming Button Bits, stamped onto Simply Chartreuse cardstock with Ripe Avocado ink. The mums are from Garden of Life, stamped onto Pure Poppy cardstock with VersaMark & heat embossed with Clear Filigree Embossing Powder. The other flower is from Flower Fusion #10, stamped with Orange Zest & Canyon Clay inks onto Summer Sunrise cardstock. The berry trio was die-cut with the Holly Jolly die from Aqua Mist cardstock and the berries were added in Hawaiian Shores ink using a small dot from Garden of Life. Everything was adhered to a tall 7-1/2" x 4" Stamper's Select White card base. A little "feel better soon" card is just what the doctor ordered when someone you love is feeling under the weather. Comfort Food has some adorable images that make projects like this easy to create. I started with a block of Smokey Shadow cardstock and stamped it with the "25-cents" border from Button Boutique. I then added the feel better sentiment from the new Think Big Favorites #22 with VersaMark, heat embossed with Black Filigree Embossing powder. I love the contrast of the "matte" border and "shiny" sentiment. For the adorable can of soup, I heat embossed the whole image onto white cardstock using Black Filigree Embossing Powder. I then stamped and heat embossed it a second time, only with Clear Embossing Powder onto Pure Poppy cardstock and cut out the bottom portion of the can. I then pieced the two parts together. 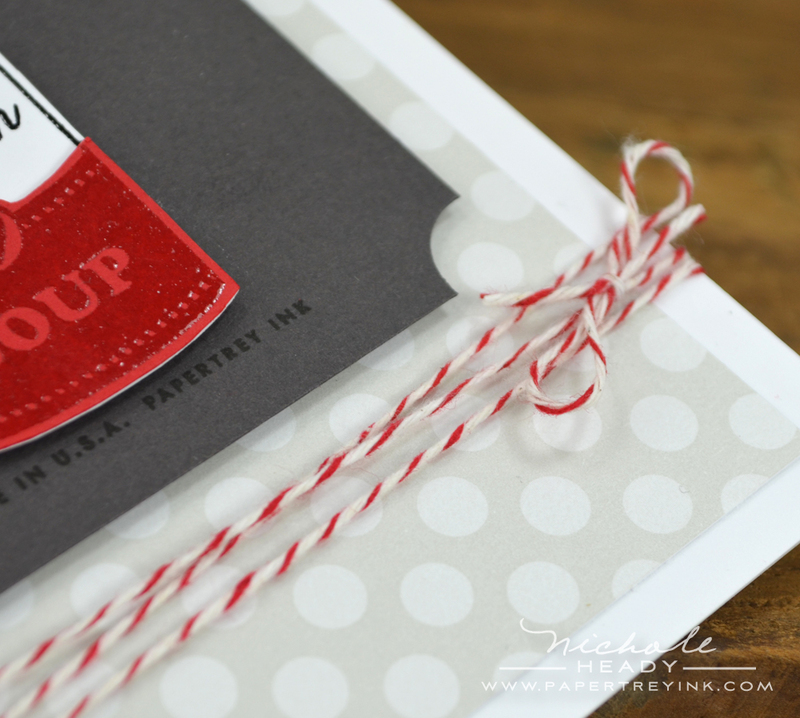 I used Soft Stone polka dot paper on my card front (LOVE THIS!) and wrapped the bottom of the card with Pure Poppy Baker's Twine. I have another get well card for you, a little something that exudes warmth and coziness. I used the new Tag Sale #7 dies to create the focal point. All of the layering possibilities with these is just amazing! I die-cut the main tag from Classic Kraft, the frame layer from Dark Chocolate and the center rectangle from Vintage cream. Note how the Vintage Cream block just slides into the four "photo corners" of the frame. I'm totally in love with this feature! I stamped the focal point using the bowl & stamp images from Comfort Food in Charcoal Palette. I then inked just the center portion of one of the Sentiment Signs in Dark Chocolate to add on top of the bowl. I finished the collage with the spoon image from Comfort Food. On the Canyon Clay background, I added a few cable strips from a new stamp set being introduced a bit later this week. These were stamped with Canyon Clay ink. The tag is grounded with a bit of Dark Chocolate Baker's Twine. I decided to dig out one of my old favorites, Lace Bouquet, to pair it up with the dainty, delicate pattern found in this month's Framed Out #10 set. I inked the large bouquet stamp with both Spring Rain & Winter Wisteria inks, allowing them to fade together a bit in the middle. I die-cut the new Fillable frames #10 die from white cardstock and stamped it with the coordinating image using Winter Wisteria ink. Underneath this I layered Spring Rain cardstock, where I stamped the oval frame from the set in Blueberry Sky and the sentiment was heat embossed with White Filigree Embossing Powder. A layer of Blueberry Sky cardstock was added at the bottom of the layers and pinked on two sides. Everything was adhered to a Spring Rain card base. 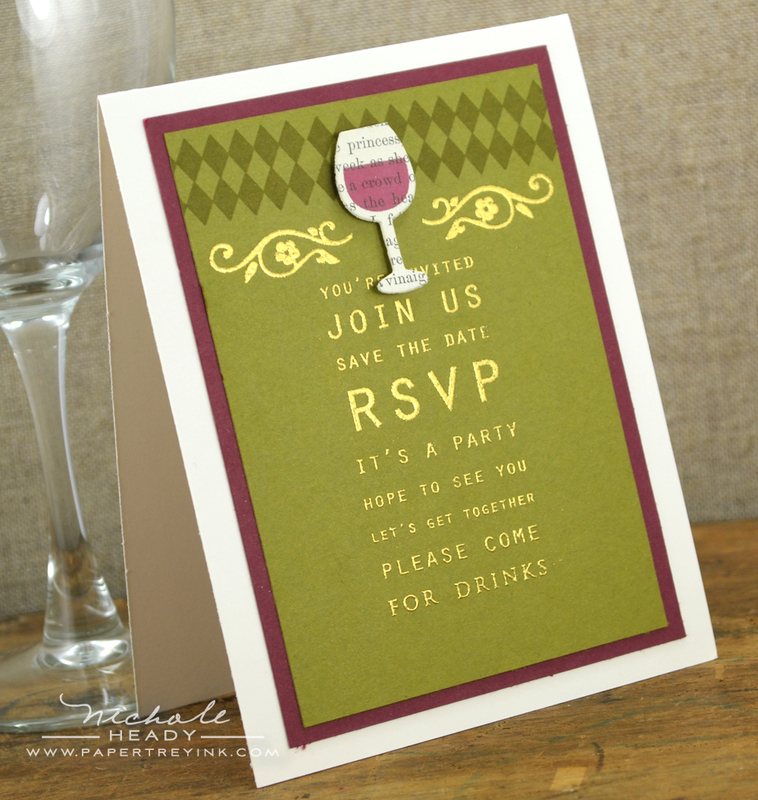 For my last project today, I thought I would make an invitation for drinks using another of the great sentiments from Sentiment Signs. I heat embossed the sentiment with Gold Filigree Embossing Powder. Note the very bottom of the stacked sentiments. The last line of the stamp included in Sentiment Signs reads "Please Come". I was able to add "For Drinks" using words found in Table Service and they really integrate beautifully. At the top of the Ripe Avocado block, I added some stamped flourishes from Table service, again heat embossed in gold. I also added some pattern using A Little Argyle in Ripe Avocado ink. 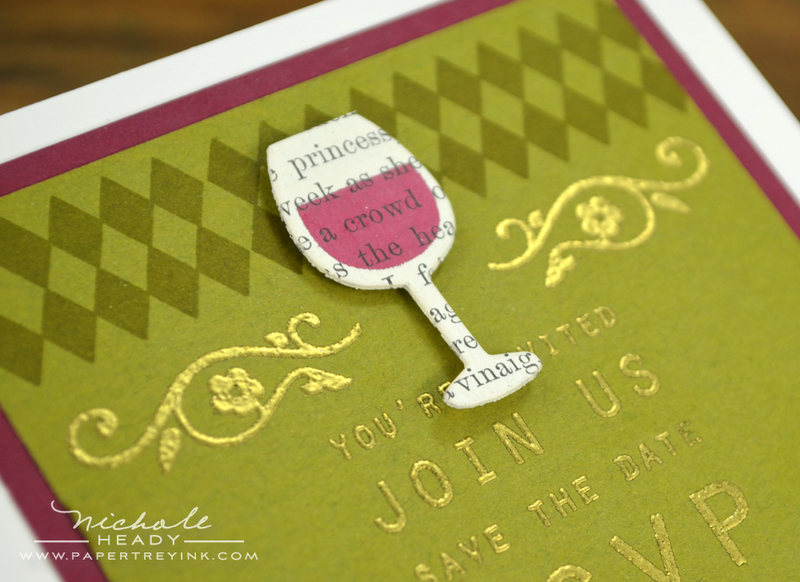 The wine glass was die-cut using the Table Service die with vintage book print reinforced with cardstock. I stamped it with the "wine" included int he Table Service stamp set. I hope you have enjoyed all the creations that I have shared with you today! With some great new basics being introduced as well as some fun new must-haves, is your wish list growing by the minute?! What's topping the list for you so far? We would love to hear your initial thoughts on everything we introduced! Please leave a comment on this post to tell us what you think of the new products and you will be eligible to win big! You have until 7am EST, November 12th to leave your comment and be eligible to win. Only one comment per person please. One randomly selected winner will be announced on our November Release Winners Page before noon EST the same day. Thank you for stopping by today and best of luck with the contest! Heather Nichols is showcasing Framed Out #10 and Sentiment Signs. FINISHED SIZE: 7-1/2" x 4"
Loving the samples today!! I sooooo need the tag dies and the pretty new papers and, OK, I need all of it! Love these projects and I’m so excited for soft stone patterned papers. Wow! All the products are beautiful and must haves, love it! i cannot wait to see more of sentiment signs and comfort food, adorable! The new tag and the subway art style stamp caught my eye. What a great release. I can’t wait to see more! Love the sentiment signs and the way they co-ordinate with the new tag dies. Love the comfort food and the sentiment signs Lots to do with the poppers, too. Love the sentiment signs!! They look awesome embossed!! I love the sentiment signs and the knit one. Can’t wait to see the whole set. Love the sentiment signs and how they look in the black embossing powder!! Love the new tags and sentiments! Beautiful cards! Just love those sentiment signs!!!! The little soup can is super cute! Can’t wait to see the entire set! I am excited to see another tag die, and I like it combined with the framed out die. Nothing helps you feel better than hot soup! Perfect stamp for someone sick. Thanks for the inspiration. Love the look of the bright flowers against the black background on the thank you card! LOVING the images from comfort food, especially the soup can! Love the big sentiments and the new tag its die!! Bring on the tag sale dies! Looks like a comfy release! I love the new tag sale and paper collection! So lovely! Wasn’t too inspired by the sneaks, but loving the projects, so framed out and tag sale will be going straight onto my ‘need’ list! So excited for this month’s releases! I love all of the projects…I can always use more tag dies; the papers are so soft & pretty; and the comfort food soup can is just too cute! Thanks so much for sharing another month of fabulous inspiring projects! I can’t wait to get my hands on them! Su many great ideas. Thanks for sharing all your great cards. Can’t wait to orddr. Can’t wait to see the whole Sentiment Signs set!!! What a great ‘get well’ or ‘stay warm’ set Comfort Food looks to be…or great with a pot of homemade soup for a homebound friend this winter!! 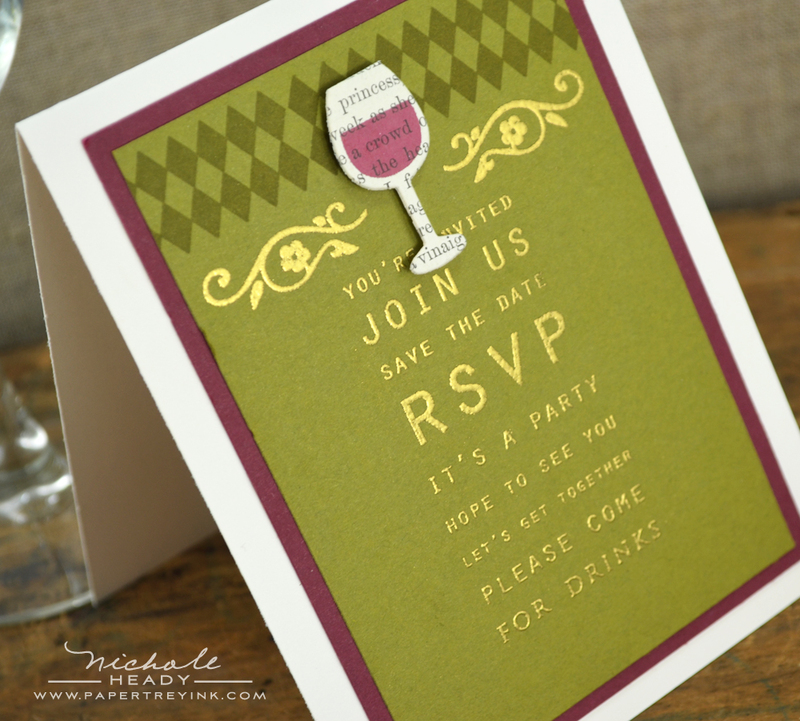 Love seeing your beautiful examples; especially the tone-on-tone embossing! Love the stamps, LOVE the tag sale dies, but REALLY love your projects! Awesome job! Love the paper packs and the tag sets. Definitely will show up in my cart. I am so excited about Comfort Food! I am going to get a lot of miles out of this set. I liked all projects, great work from the designers, especially the new popper die projects. The tag dies are definitely on ‘the list’ this month! Amazing cards, Nichole. Love the new tag sale #7 and your choice of colors is just wow!! Yay! The Tag Dies ae back! Is that the standard size business card (the smallest dies of the tag duo?). Fab projects. That new tag set is wonderfull. Makes it easy to make bunches of tag’s beforehand and just add a name with the top layer! Love it!!!! That get well card is so adorable with the soup can! And I am LOVING Tag Sale #7! So many possibilities and just in time for the holidays :)! Day 2 was my day! Love the “subway sentiments”. Love Tag Sale #7. But my favorite is Comfort Food. I enjoy making soup and this is a great set for giving soup away. And ours is an ice cream family. Love the pattern packs too! Tag Sale #7 and Sentiment Signs…can’t wait! The card with the soup can is so sweet! I can see so many different ways to use the Tag Sale 7 dies- a have to have! Love the graphic and clean look of Heather’s subway art sentiment set. Perfect! I’ve got tons of ideas and I haven’t even seen the entire thing. This is definitely coming home with me! Love the frame and insert!!! Cool! I love the Comfort Food set and the new tag! Wow! These are great!! I especially love the sentiment signs! All of the projects are lovely…. but, Yay!, Tag Sale #7! And the Soft Stone paper is my “must have”. Love the stamps showcased today and the new patterned paper! Love the new tags. You guys not only come up with the cutest ideas but you just have a flair for knowing exactly what your audience wants! YOU GO! The soup set is a “must have”, I feel the same way about the stacked sentiments set and the cable background, I already have a million ideas on what I can do them. I love the new tag! Can’t wait to put it to use! Oh my goodness! How cute is that soup can? You sure know how to inspire Nicole!! Love all the great ideas! And the stamps and dies too – OF COURSE!! Can’t wait to see what you have for us tomorrow!!!! Love the bright flowers on the dark gray, the red and white twine with the soft stone paper, lots of great looks today Nicole! Love the new patterned paper and the framed out die! This is going to be a very expensive month! I don’t know if I ever wanted so many items in a release! Another day of wonderful projects! I especially love the new tag sale die! Very cool – love the look of Lexi’s new set and love the new sentiments as well. And yeah! a new tag sale! Wahoo! What is there not to like! I am sitting down now making my list and it is loooooooong! I adore the Soft Stone paper pack! Totally yum! Am really looking forward to seeing these complete sets, especially sentiment signs. I just love subway art and this set looks as if it will replicate this art form to a T! Well, it’s only day 2 and I already have enough on my list for free shipping! lol I just love everything this month – so happy to see a new tag sale die! Really excited about that Tag Sale die – its great how the photo corners work! That soup can is super cute too! I am loving all your cards Nichole today. And the new tag die looks fabulous. I just love the new tag sale die. The framed out is also great! Finally, the comfort food stamp and dies are adorable! Thanks for these chances to win. Papertrey is the best! Beautiful! I love the way you have integrated the new sets with the old. Especially Table Service, which is one of my favorites! How pretty! Your creativity is amazing! Love the sentiments and how they emboss so nicely! How cute! The framed out is so simple and versatile!! Love all the new sets here! I love your use of embossing powder! Beautiful samples!!! love love love the tag sale die!!! I love the Tag Sale #7 dies. So many possibilities!!! Yippee! The Sentiment Signs and Comfort Food are exactly what I “need”. I love them both! Thank you for the inspiration! What a great realese it is and there’s more!!!! Absolutely amazing samples today, the dies look like fun! Love the new tag dies you can never have to many tags !! Stunning cards and creations..LOVE this release!!! Such fun projects! Love the subway art sentiments, and that tag sale die is such a great addition to the series! Loving the new Tag Sale and Framed Out! Those will be great for cards and scrapbook pages! This is turning out to be an expensive release! Can’t wait to use Comfort Food on card projects 🙂 Such wonderful examples–they all made me smile! Your samples are amazing!!! New tags, more sentiments, new paper…what’s not to love! Can’t wait to see everything! Very cute! I also like the sentiments embossed in black, a good look on the gray cardstock. I can imagine using the sign sentiments in so many ways! Really great idea! I have been waiting for a tag like the new tag sale tag, it is so great! such a nice addition to the line up! Love love love! Everything is so wonderful, Im so excited about the new tag sale die. Love the look of the “subway art” stamp set! Always love the Framed out series and can’t wait for the Tag sale #7 die. Love the colors in the pattern paper packs this month!! As always great inspiration!! Such great tags!! They can be so much! Oh, how I love the sentiment signs! Such great inspiration! Can’t wait to see what tomorrow brings! I love the new tag die! And the comfort food set looks like a must! I have always loved the tag sale dies, this one is to “die” for #7 the best. Loved the projects for today can’t wait till the 15th! Ooh, I’m very excited about tag sale #7 and that soft stone patterned paper is gorgeous! Love the new tag sale and Sweet blush patterned paper. So happy for this paper! Thanks. I love the dies! And your samples are beautiful! Can’t wait to use Tag Sale #7. It offers so many possibilities. Cannot wait to see Sentiment Signs in it’s entirety. It will be an incredibly diverse set, using it as one whole stamp or breaking it up into smaller or singular sentiments. Loving that little soup can from Comfort Food! The new Tag Sale die is definitely making its way into my basket and the soup and ice cream set looks great. Love the samples today. These are fabulous! Thanks for all the great project ideas too. Love that new tag sale die!! :) Sentiment Signs will be coming to live whith me,<3 it too!! 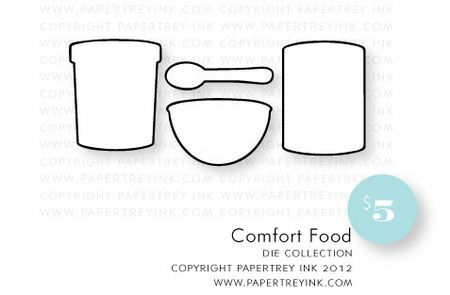 I like the look of the comfort food dies – cant wait to see the complete stamp set that goes with it. Get well cards are always needed for me. I love the comfort foods set! What a nice change from flowers for these cards. Another amazing day! I love the new soft stone papers! Yay! I love the Sentiment Signs and the Tag Sale sets. All of the samples today are wonderful inspiration! That canyon clay is such a pretty color! Thank you for sharing. Love the tag sale dies! By any change will a gift card fit under those little photo corners?! What a fun release! Can’t wait to use the Sentiment Signs and new tag dies!! I am excited to see another tag die. I have nearly all of the others and I like to combine them with the framed out dies and stamps. Love the soup can! Can’t wait to see more of this set! I’m loving the new release and I can’t wait to see more. My list is already getting long. Love the look (and versatility!) of Sentiment Signs and Tag Sale #7. Lots coming home with me this month! The dies make the stamps so much more desirable. These new products are super cute! Love the tag! I love soft stone! Excited for the pattern paper! I love the new tag sale die! Can’t wait to own it! My favorite card today was the one with bright flowers on the dark grey base. I’m going to have to try that! Like the sentiment signs and new tags. Nice projects by all. I love all the tag sales so I can’t wait for #7. And I really like the layering feature. The other set that has peaked my interest is Sentiment Signs. Terrific designs again. Awesome cards! I especially love the sentiment signs. Thanks for the inspiration! Lovely cards. I love the new tag dies. I can’t wait to see the rest of the release party. These are all great! Love Sentiment Signs. It looks great embossed. So excited about the sentiment stamps and the new tag …gotta have it! Love all of these! I have to get the new tag dies. I can think of so many uses for them. Love the comfort food. What a great concept. Excited about the new patterns. As with all of the previous tag dies, I love this one, especially the layering features and the photo corners. Such a wonderful idea! Very fun projects. Love the comfort food set and dies and the new sentiments. Can’t wait to get the new tag die. This one has such great features. Really, really liking the subway sign sentiments. Not only do I love them as a whole, but I love that they can be cut apart and you instantly have a plethora of new sentiments to use! I Love all your projects!! What a great release. I am loving the new tag and paper packs!! Thanks for all your hard work!! Love the mixing of old and new products, great release, looking forward to tomorrows showcase. Thanks all. Love these projects. Sentiment signs and the tag sale dies are amazing. I too just love the comfort food soup can! Will be keeping that one on my shopping list! Love the heat embossing on the projects too! I absolutely love the Sentiment Sign! Can’t wait to use it. Tag Sale is absolutely wonderful. I love how everything fits together. Love the new tag it sale die, use the others all the time… and food, I’m definitely interested to see more fun food cards. I am crazy for tags and this one is so clever!!! Love the tag dies.. Would love to have one..
Amazing cards, thanks for sharing! I love the tag sale dies, will need those. The comfort food stamps and dies are adorable. All the projects used embossing technique, love the shiny images ! I love everything about your “Merci” card – the colors (yum! ), the layout. I also like the additional layering options on the Tag Sale die – so much fun! Beautiful projects. I can’t wait to try out the new tag sale dies! new Tag sale tag. That one has many possibilities! I love the idea of the “photo corners” in the Tag Sale dies. I use tags often in my projects and this set will definetly be one of my favorites. SOUP is good food..Love the dies! Lexi’s new set looks great! Can’t wait to see more samples with Comfort Food! Oh, I LOVE that new Tag Sale with the layers! These sentiments are awesome too. So much goodness here. Can’t wait for the release! Such a teaser ~ love those cable strips! Looks like there will be so many uses for Heather’s sentiment signs and I can’t wait to start using the new tag sale # 7! Wow love everything!! Thanks for sharing all of your wonderful inspiration! I love subway art and cannot wait to get Sentiment Signs! The new Tag Sale die is awesome too. I am always amazed by the creativity I see here! Thanks so much for your continuing generosity. I really like the layering options for Tag Sale #7 with the photo corners. And the subway sentiments are so nice with the embossing. I love what you’ve shown of the knitting pattern, too! Love the background cable knit and the photo corner holder. Cannot wait until tomorrow to see more. Too cute; too FUN; too hard to resist any/all the new goodies! LOVE how the new tag die layers and Sentiment Signs and Comfort Food are just fabulous — want it ALL! I love the new papers you’ve added to your line. That pink is so sweet! Looking forward to see the rest of Sentiment Signs. And love those tags! I love the soup can! Of course, you can’t have too many tag dies. Those are great! Love Sentiment Signs and the awesome new tag! This is a great release!! Loving the new tag #7, like the three layers and lovin Heather’s new frame-it,there are just so cute and a great layering piece. All the projects today are great! I’m especially excited about the new tag sale die! Comfort Food looks like such a fun stamp set to work with! Can’t wait to give it a try. Loving the new tags and sentiments! Can’t wait to see the whole reveal! Comfort food – what a GREAT idea! Glad to see you included ice cream in that set! Can’t wait to see all of these unveiled this week! Loving the images from comfort food and the new tag dies are a must-have! Everything i this post makes my heart warm. I specially love the soup stamp! So lovely cards and the new sentiments are so unique! All the cards give so much inspiration. paper packs!! Beautiful cards as always!! The new Tag dies are great! I love the comfort food set as well.. Beautiful samples as always. I love the new tags, can’t wait until the 15th! So excited for the Sentiment Signs set! Thanks for all of the inspiration! Well, I’m excited to see ALL these new products, but especially that Tag Sale #7! And I love the new pattern paper packs. Loving all the samples today, as always. The new tag sale die is wonderful – so vintage looking. Love it. Excited to see all the comfort food samples this week. The soft stone pattern paper is so dreamy. Love the trendy look of the Sentiment Signs set. The new tag sale die with the insets is fabulous. Can’t wait to put these things to work! very nice!! Love the tag dies. The little soup can is beyond adorable. I just love the new tags and must add them to my collection. And the way the sentiment signs fit within these tag dies is great. Always love the new patterned paper packs too! 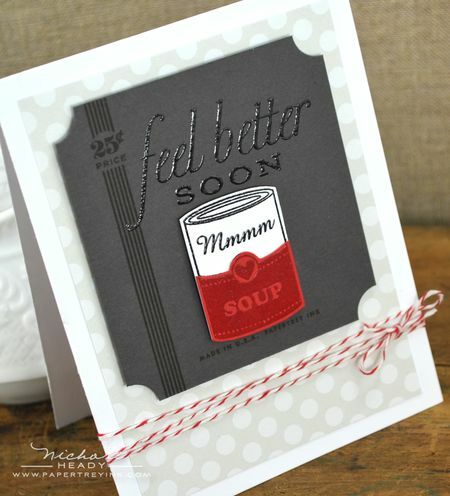 oh that can of soup is just too cute and so perfect for a get well card. I love it all! I LOVE, LOVE, LOVE your cards…the “Thank YOu” card is so striking and that “soup” get well card is just too cute! Another awesome release. GREAT projects! Great tags and love the Comfort Food dies and stamps! Love the tags, and that cute~cute little wine glass!! Nichole your thank you card made with sentiment signs is so striking. The overall effect is stunning. Such great projects! The Tag Sale Die & Sentiment Signs are definites on my list this month. Love the new frame tag! And the soup can is clever & cute! Love the sentiment signs…can’t wait to see more. Great projects today. Thanks for so much inspiration – I’m on overload. Love, love, love the new tags!! I’m so in love with the soup can!!!! and the cable background! Wow, love the new Tag Sale and all the great layering possibilities. That is very exciting! The get well set and dies are great. I never seem to have much in the way to send s a special someone a get well wish, especially men. These new products just fit the bill. Fillable Frames #10 and Soft Stone patterned paper look good to me. What great sets once again I can’t wait for release night. Comfort food looks like it will be so fun to create with. WOW!! Loving the projects today!! Amazing work as always! Love the comfort food dies and the new Sweet Blush papers. Beautiful projects! TFS! It’s hard to pick a favorite project for today but I really love Nichole’s smokey gray soup card. So classy! I can think of plenty of people that would love to receive that. And the tag sale 7…..I really thought I could pass on this one…that is until I saw the extra parts & Nichole’s lovely creations with it. Great job! Love what you did with the lace bouquest and fillable frames sets! I love Sentiment Signs. That last card is beautiful! Another Tag die, yay! Framed Out 10 is nice as well. Oh Tag Sale #7, you had me at HELLO! Everything today looks awesome! I love the blue and purple card. My favorite color combination for the holidays. And I can’t wait to see more of the knitting stamps. Love the cable background on the get well card. Awesome! The new tag sale die is fantastic! A new Tag Sale die…eeek! Love it! Today’s cards are once again amazing! The Tag sale #7 looks like a keeper. Loving everything here! Tags are a must in anyone’s collections so excited to see more of those! Loving the Comfort Food as well! Fabulous!! I really like the new tag sale and all is possibilities. Yea! Tag Sale #7 looks great! And Sentiment Signs is wonderful! I am absolutely loving the new pattern paper packs! Gorgeous. And that subway art set… swoon! I really love the new tag sale #7 die collection!! LOVE, LOVE, LOVE!! 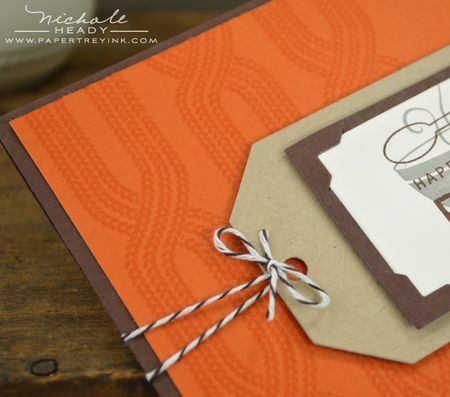 I saw your chevron background stamp used on a card & so came to your site to check it out. I’m so glad I did because I love to get involved in celebrations! these sets are so cute!!! love the soup can & ice cream container. also happy to see the sweet blush & soft stone pattern paper packs. thanks. Love the Subway set and the Frame it set is lovely too. Ooh! The new Tag Sale die is fantastic. I can see myself using that on tons of projects in the future. I’m loving the little ice cream container, too. Adorable! I can tell this is going to be an expensive, hard to resist release for me! I’m in love with everything that was shown today. Can’t wait to get my hands on these new sets. They are simply fabulous. Sentiment signs and comfort foods are must have sets. And, as always, your projects are amazing. So please with the new colour paper packs for this month and the new tag dies are ideal for Chrismas tag making. I love the new tag sale die! As always….. fabulous. Each one is better than the next!! Soup and a beautiful card should make anyone feel better. Great ideas here. Love the invites, and get well/comfort food sample cards. I love tags, and the interesting new ways the designers are using these creative shapes. I really like the new tags. I also like that you show examples that mix new and previously released stamp sets. The Framed Out #10, Comfort Food and cable knit caught my attention. I’m looking forward to seeing more! Love the sentiment signs sets and the new tag sale die. All the projects look great! I still love the poppers but I need more inspiration. Love, love the new stamps. And that new tag. Mmm love it. LOVING the projects shared!! ANOTHER FUN month of PTI goodness!! Cant wait to shop!! So Cute! Really enjoy what I’m seeing this month! I LOVE the tag ties and your cards are just so bold and beautiful! Looking forward to seeing more sneak peeks and the big reveal! Love the new tag sale dies..super fun. Another day of amazing inspiration. Love the new tags and the way you coordinated them with Framed Out! Lots of possibilities there! Great release! Love, love, love this release!! Such creative ways to add to my card projects and ideas. The soup image is so darn cute! Love it for get well cards! very cute stuff here. always nice to see more tags! Love the new tag sale dies, as well as the comfort food stamp set! Can’t wait till release day! The Sentiment Signs set is a definite must have!!! And I can totally imagine using the Comfort Food set this time of year. Thanks for sharing! Everything is awesome! I really love subway art so Sentiment Signs is going to the top of my list this month! 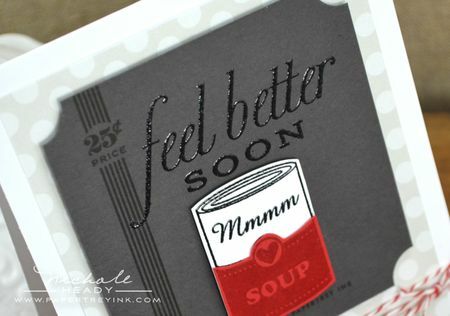 I just loved your feel better soon card with the soup can. Very graphic in colors and design! Love the tag sale #7 die. This month’s release is great! I say that every month!!! Love the new dies! The soup can card is absolutely adorable! Looooove the cards today! And the tags are very pretty! You always know how to combine the most beautiful colors. Amazing inspiration. Love the tag sale and I’m just gonna have to have it! I just love all the tags you guys do. Thanks. I don’t think it’s possible to just pick one! I’m excited about them ALL. I love the idea that the tag sale is created with the perfect size to insert into the frame…takes all the guess work out of it… YEAH! Thanks for all your GREAT samples…get’s the creative juices going. I love the comfort food set! More things to get my recipe cards together. Love love the soup can. I send so many “feel better” cards this is going to fit right in! Love it. Ahhh, a new tag die that looks totally awesome. And let me just reiterate what I’m sure others are saying, Nichole, the embossed sentiment signs are divine. Your color combos again are lucious. Eager to see more! Lovely samples as always! I love what Heather did on her blog too – cutting the stamps is scary but gives so many options. Oh my word, I cannot wait for this release. It is a really great one! Oh dear, so much I really, really need to have in my collection!! The Comfort Food set had me at ice cream. I love ice cream! The Tag Sale #7 WILL be making it’s way to my house. Love the layering possibilities. I think I will use it in my Project Life album too. I love the new tag sale. A must have for me. Thanks for the wonderful inspiration. Nice projects. I like the colors used in the thank you card. Good work! Comfort Food looks to be pretty awesome…can’t wait to see more of it and the other wonderful sets PTI has in store! Love the new sentiment signsstamps! I really like the bright colors against the black..
Love the soup can, and feel it would make for a healthy winter to win some of these wonderful stamps! Love the samples for the new release, especially those with Sentiment Signs and Table Service! The sentimental signs and the sample healing cards are so inspiring! Fabulous cards today! Yes my list is getting quite long! What caught my eye today is the fillable frames #10 and the new tag dies. 🙂 Thanks for a chance to win! Wow! Loving the tag sale and paper! Actually loving all of it! I love the thank you card. I am looking forward to tag sale #7. I think it will be a very useful die. Gorgeous projects as usual. Love the multipart tag die especially! Ya’ll never cease to amaze me with your designs. And love what you do with them once they are out there. The get well cards are just what the doctor ordered especially at this time of year. Love them all so far. Thanks for sharing your talents with us all. I love the new tag. This collection is super cute, like each month. Loving all the new releases and the projects! I especially like the new tag sale dies and sentiment signs. PTI gals have done it again! Love all the details you put into everything and all your wonderful projects! Yay for soft stone and sweet blush patterned paper! The Tag Sale die is definitely on my ‘buy’ list. And I’m liking more and more sets as they are being featured. Excited to see them in full. I can’t wait for the full reveal! Great topic for the release… Comfort Food! Can’t wait to get mine. The new tag sale dies are great. I love the pinked edge and photo corners. I am also excited to see the rest of the comfort foods stamp set. This release looks great! Love the can soup. it’s the grat season for eat it. Can’t wait to get my hands on all these goodies. I could totally see the use for the RSVP set with many dinner parties and cocktail hour parties. I like the “photo corners” frame that is part of the Tag Sale #7 die. This could easily be used without the tag for sentiment focal points on the fronts of cards. Lots of options here. So many goodies going into my cart! More wonderful goodies to add to my collection – love the comfort food! All the products are great. Yes, i agree the sentiments do look very nice when they are embossed. The feelgood/better image should be a good seller. Sentiments signs is very cool looking, especially when embossed like you have shown them. However, my favorite today is that sweet little soup can! Everything looks amazing, but I especially like the soft stone patterned paper! And the new tag sale die is wonderful. Love the new tags and can’t wait to see more projects done with these! Your cards and projects (and the DT)never fail to inpire. Beautiful projects! Can’t wait to see more! The tag dies look fantastic. Love the new tag sale die. Great projects. The poppers is growing on me, thought I didn’t need it, now I am thinking I do!!! I love the first few cards with the dark gray & black embossing. Very stylish but fun too. All the new sets are just wonderful. Love the new Tag Sale! Fabulous projects too! Great cards! Look forward to seeing more of the Sentiment Signs. Great projects again today. Pleased with this month’s patterned paper and the new tag sale is great. The new tag die is so versatile. Love it. Excited for this month’s release – love the new tag sale die. What fantastic features! Tag Sale #7 + Sentiment Signs = a perfect match! You are always so creative in the projects shared. The inspiration is amazing. I particularly enjoyed the Sentiment Signs (I’m a sucker for sentiment stamps) … can’t wait to see the whole set. Thank you. *Love* the new tag sale die! And Sweet Blush & Soft Stone PP…YAY!! I love the new items! I also love the new patterned paper colors – gorgeous! Bring it on! My mom came for a week to help with the kids. And is now in bed with the flu instead. I think I will make her some soup. Thanks for the inspiration. Love the Sentiment Block stamps! Yes, I think I could cut them apart, LOL! the Comfort Food set has my name all over it! The patterned paper is gorgeous! Love it all!!! I’m liking the new additions to the tag sale family! Wow! Such cute projects! I just love the comfort food stamps and dies!What a cute idea!!! I love the new patterned paper in stone and the new sentiment stamps! It all looks GREAT! Thanks for the chance! Love the new Tag Sale die and the peek at the cable background. The little soup can will remind many of the comforts childhood! The projects are so amazing! Love the new Tag Sale die. Love all the new release products!! Comfort food set is going to be a lot of fun! Love all the embossing in the projects. Nice showcase of projects, Nicole. i absolutely love the colors you are releasing this month in the pattern paper packs! so soft, so subtle, so beautiful! can’t wait to get my hands on them! Love the soup card. The tag sale dies are great too. Thanks for sharing . Pretty projects today featuring the products coming oh-so-soon! 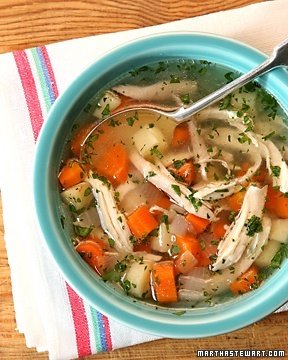 I love the idea of the chicken soup. Very cute for get well cards! Thank you so much. Love the new tag dies and soup is cute. Great for get well cards. These are fantastic! How you keep thinking of new ideas is beyond me, but keep it coming! Well, I’m absolutely loving everything but I’m thinkin’ that the Sweet Blush and Soft Stone are going to be a staple in everyone’s craft rooms! Beautiful projects! Oh my ganache! So much goodness this month! Nichole and the DT are really rocking the projects, so much inspiration! Love the Sentiment set and Comfort Food is a much needed set too. This month is going to make my wallet scream! The tag sale dies top my list! Love the soup can too! Beautiful! Love the new tag sale die! Wonderful collections of cards. I like the new Tag Sale Die ! Those new fillable frames look really cool! I’m also really liking those sentiments! I love the way you combined Sentiment Signs with Table Service. Can’t wait to add this new one to my collection! Love the Sentiment Signs set. 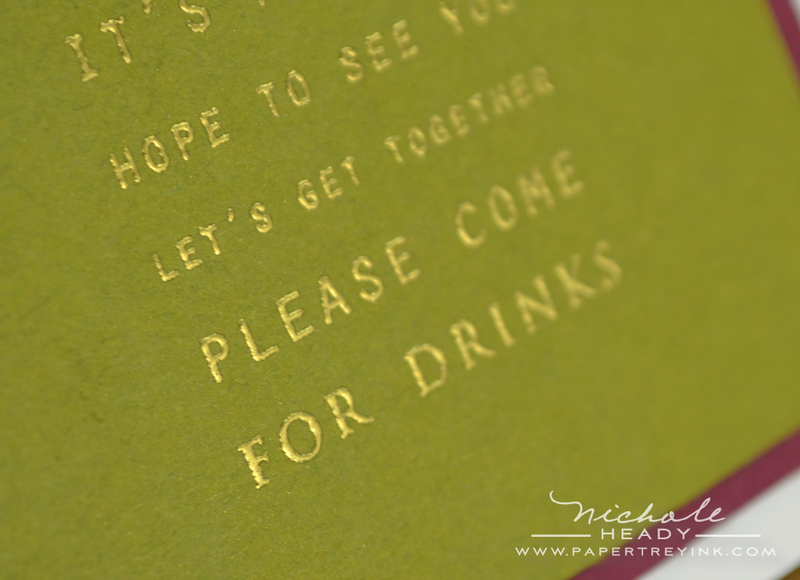 Totally agree, it looks fabulous with black embossing powder on smokey shadow paper. Beautiful projects all around! I love the new Tag Sale die! I can see so many possibilities with the tags and frames. The comfort food set is so cute! Love all the ideas/cards presented today. I’m looking forward to seeing all the samples done up from these sets. What better way to celebrate the holidays than with food! (lol!) Love all the sets! Love all the frame outs that are out!!! All the projects rock the creativity. So excited and love the new fabulous sentiment stamp set. Beautiful cards! Simply beautiful cards! I especially love the tag sale dies. My list just keeps growing! Everything is so darn cute!! Love Heather’s new sentiment signs – such a great way to make the sentiment into a focal point. The new tag sale die is awesome too – so many fun layering possibilities. The Tag Sale #7 is a super addition to the tag collection, as well as the Framed Out #10. Stunning, stunning, stunning. I have just placed my first order & am can see that I will be ordering again (sooner than later!). Well done! So much goodness in today’s samples, really looking forward to this release! I am loving everything so far – but the tag sale dies are really catching my eye! Love the variety of samples, and the versatility of all the products. So adorable! I am so excited for a new tag die, just in time for the holidays. And the stacked sentiments is awesome. As always, thanks for the wonderful inspiration! Your projects are beautiful! So inspiring! I am loving everything so far but sentiment signs is at the very top of my list. I adore novel sentiments, like this set provides! Please pick me! So far this is such a fun release. Way to go Gals! I love it all. I am super excited about the Framed Out #10 as well as the Tag Sale #7 and the Soft Stone PP! I am a huge fan of “just the basics” and all of these fit perfectly within that! So versatile and never runs out of style. Wow, it gets better and better! Love all the stamps, papers and dies!!! Thank you for inspiration! I love, love, love today’s sets! The Comfort food and Sentiment Signs really caught my eye. Good job PTI! As always, lovely creations by the DT. Like the tags. great cards from nichole and all the design team today. lots of inspiration – something i can always count on from pti! The soup can is just awesome – I love the comfort food set! Everything just looks amazing! My wish list is totally out of control. I only wish my bank account was as big as my list. Topping my list is the Party Favors Box 8. Love it. I just love the Comfort Food images. Perfect for a pick me up card for someone under the weather! Not only has my list grown, I think it’s going to out grow my craft space. All the items in this new release are calling to me. I really love the new sentiments. I really realty like Sentiment Signs! So trendy, so fun, I can’t wait to use them! 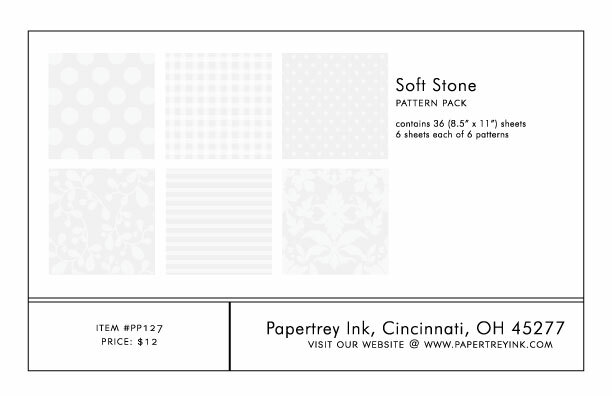 Plus I use the soft stone card stock, so it’s exciting to see the patterned pack in this color. Tag Sale #7 dies…wooohooo!!! Love ’em! And the use of smokey shadow and canyon clay in examples…yeah…some of my favs!!! So many fun things to see today! I’m lovin’ those tag dies!!! Oh how fun! I love the new comfort foods set! And the tag sales dies are going to be soo handy! I can’t wait to see the rest of the release! Another great day with more amazing products!! I really like the new framed out set & the tags–great cards today! I love Comfort Food – so cute! Love the new framed out die and tag sale dies. Thanks for the beautiful inspiration today! What a fun new tag set! Great projects! I love the get well cards, especially the comfort food soup can. So much creativity! Thanks for all the inspiration. I really like the new tage sale die and the comfort food. thanks so much! Another great release! I’m loving those pretty soft pp colors this month! Really fun samples. Low the sentiments I’ve seen so far in this release. And that cute soup can…oh my! The soup can is adorable! Love the idea of a get better collection! The Framed Out looks like it’s going to be great! Definitely love what you did with it, Nicole! These are very fresh ideas! Thanks so much for sharing them! New tags, can’t get enough of these. Thanks for the ideas ladies! Fantastic new products again. Love the tag set and the subway art. Great inspiring projects too. Have a great day! The new Framed Out set looks fun, as does the new tag and Sentiment Signs. You have a way of making everything look easy and fun! As usual, lots of great sets in the release this month. I really like the new tag sale dies with their layering options. I love the sentiment signs!! Can’t get over your fantastic projects Nichole. It’s hard to choose a favorite but the comfort food soup can is absolutely adorable! Can’t wait until tomorrow. Loving Tag Sale #7 … such possibilities! Poppers and comfort foods… I’m in love!!! Oh what fabulous things you are releasing this month! I can’t wait for the new knitting set, and I really love the papers too. My shopping basket is going to be so full! Thanks for the lovely inspiration. I love the design options with the new tag sale, definitely want that one! All the new products are a must!!! Love them!!! WOW!!! Amazing projects, Nichole!!! Love the new tags!!! I never have enough!!! I love all the projects. I also love the sentiment signs. So great! I am loving this release and there is more!!!! Love the thank you with the food/wine theme. While I don’t go out a lot, when I do get invited somewhere, it is so nice to be able to send a themed thank you! just make sure there are some chocolate chips in the ice cream and the soup and ice cream images will already speed up the healing process! yummm! love all of today’s peeks! 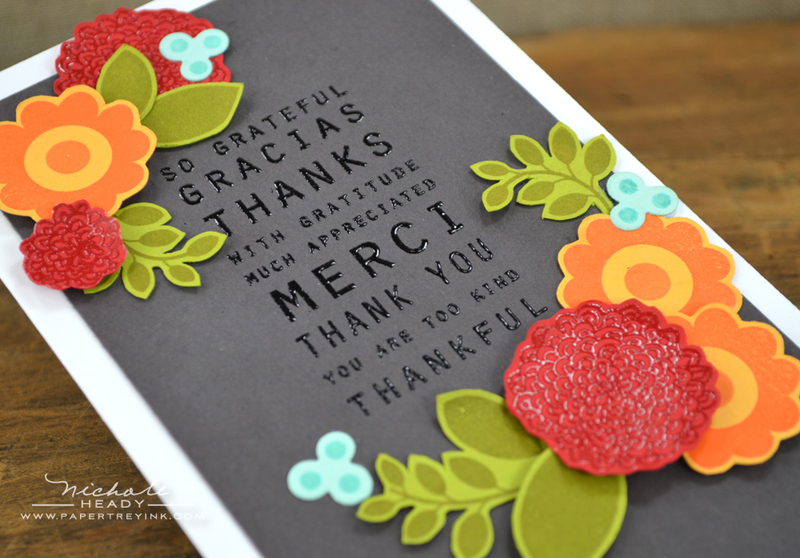 the tag sale die is what i love the most….can think of so many uses for it….so versatile! Wow!! I am loving the comfort food images and sentiment signs!!! Fabulous projects, too! Great pjects ! I love the framed cut out outs and the tag dies. I’m loving the look of the new Tag Sale 7, and can’t wait to use the Soft Stone paper. Thanks for the chance to win a gift certificate! All these products look so fun and inspiring, but I especially love the Tag Sale #7 dies and the Sentiment Signs stamps! Loving everything so far!!! Comfort Food is definitely a must have!!! 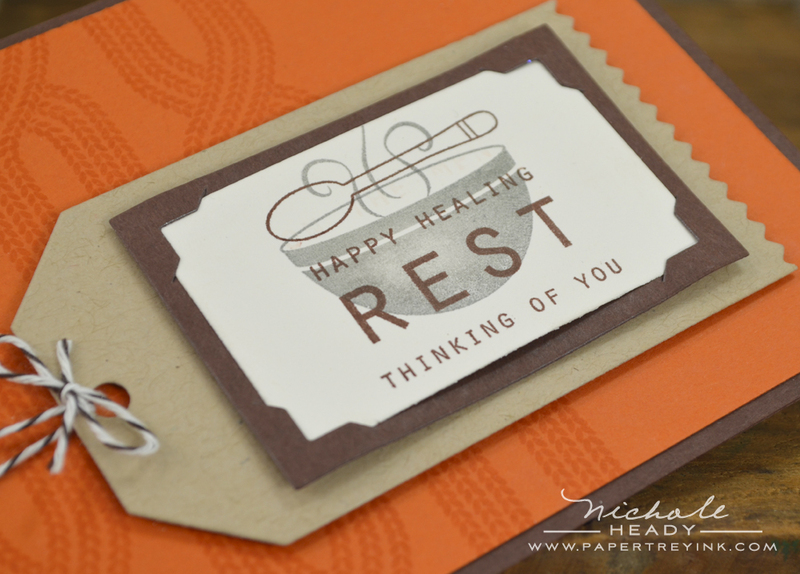 Always love new “feel better” sentiments and stamps! That framed out and tag sale is sure going to be on my list great projects again. Great projects! The get well cards are so cute. Love all the new dies you have to offer this month…. I love the new Tag Sale #7 set! So many possibilities! Love these new projects! The new paper collections are so pretty! love this sentiment set – I can see this making its way onto a lot of my cards! Love the Tag Sale 7!! Just love it. Looks great with the Framed Out 10 too. Great job girls. So excited about the Tage Sale #7 and the Sentiment Signs. Of course, Framed Out #10 is going in my cart, look forward to that set every month! Anxious to see more with all the releases this month. Loving these ideas!!! The tag dies are especially awesome! Tag Sale #7 is definitely on my list, but loving the rest! Choices, choices . . . Cute projects! that Sweet Blush paper looks great. I think these would be a lot of fun to use. So excited to get the new Tag Set #7!!! It has lots of possibbilities. Love the tag sale dies! Love the sentiment signs and the tags! The possibilities are endless with these sets. I am anxious to see more and to place my order! Thanks for the inspiration! I love the Framed Out series so I’m always happy with a new addition! I love tag dies and can’t wait to get these new ones. I also love comfort food so that stamp set is a must for me!! The sentiment signs and the new tag sale die look like fun! More beautiful projects, Nichole! I especially like the first one–so dramatic and pretty! I love the new tag dies! Love that soup can! And the embossing on all of your projects is beautiful. What a fabulous mix of fun stuff! I’ve been hoping you’d release a good get well set for ages. Thanks! Great projects as always…thanks for the inspiration! I love all the projects! I’m really liking the new tags. They look so versatile!! My wish list just keeps growing! awesome projects. Perfect for holiday seasons. Love the new tag die and the subway art stamps. Love the new framed out. beautiful cards. Tags Tags Tags! You can never have too many tags…can you? I don’t think so!! So many beautiful projects today! I love soft stone pattern papers and the sentiment signs. I’m in love with Sentiment Signs. The modern graphic desings are perfect for so many projects. Can’t wait to see the whole set on release day!! I love all your new projects. So looking forward to another release. So many fun goodies. I love the tag dies! Great samples too. Stunning projects! I am in love with tag sale 7! Especially liking the tag sale #7 dies and framed out #10 today. And, liking how Heather paired them. So many more fun ideas…thank you for the inspiration. WOW! Comfort Food and Tag sale dies are wonderful! Love, love the soup card! Great for those winter colds! Comfort Food looks just adorable! And I have been waiting for the sweet blush patterned paper, love it! I love the sentiments signs. Can’t wait to see them all. And, I agree, the black embossing powder is awesome. That soup can is too darn cute 🙂 I just love it! WOW! Really excited for this release. Specially love the Sentiment Signs from this post. Already see so many things in my mind to make with this set. Love it! Love the soup can! Great projects and the tag dies look fabulous. Very timely. Can’t wait to see the rest!! Keep the inspiration coming! Totally love the new subway art sentiment set; y’all do such a great job with fonts, typography and scale. Can’t wait to see more this month! Love the soup can. Cute! You line of patterned papers is genius, a must have. My favorite so far is the comfort foods. But we have just begun! Love the subway art inspired set of sentiments and the tag die! Yeah! More fun! I’m liking the look of comfort soup, especially the soup stamp. Can’t wait to see more. I love that sweet can of soup! Tag Sale 7 and the new papers are gteat. I don’t knit but I love the cable stitch background. It just gets better and better! Love the new tag set! Fun comfort set! Love the fell better soup card. Would love to win the prize to add some more to my PTI stash! Oh my — Sweet Blush paper pack is at the top alongside the Tag Sale #7. This promises to be another release that will have me in my stamp room for hours! Really love the new Comfort Food set!! ……..another day of fun and inspiring projects. I’m loving the Framed Out #10 die and the Tag Sale #7 die…..they will be a “must-have” on my shopping list this month! Love the sentiments signs and the tag set so far.. very nice samples of everything! Love the new dies! Amazing projects! Love the soup stamps/dies. The little can of soup is adorable. Can’t wait to see the entire set. Wow! I just like everything. I think this is the release that’s a must have. Thank you for the chance to win. Neat images and dies. I especially love the soup can! How clever! Such pretty sample cards Nichole. Love the Sentiment Signs…so current! And the new Tag is wonderful! Looking forward to seeing all the sentiments in the Fabulous Sentiiments set! I have to say that I am really looking forward to seeing the full set of Sentiment Signs! The Comfort Foods stamp set also looks really versatile. I love that! Oh my! So much fun seeing all your creations! I’m especially excited for the new Tag Sale #7 die collection and this month’s patterned paper colors! WOOHOO! Lovely projects! Just love seeing your creativity each release. I’m definitely loving the soft stone and sweet blush papers. Tag Sale #7 and Framed Out #10 are definitely going to my Buy list. I love the new tag set, cant wait to get my hands on it! Wow great cards and defintely excited about this month’s release. I love tag dies and the papers are great colors. Liking the Tag Sale #7 die and the framed out series. I love everything shown today. So much fun! Love the new tag sale and framed out sets. Perfect for making Christmas tags. I love the projects today, especially the ones made with Sentiment signs. Loved them all. I can’t believe it took me so long to find your site. Love everything. Really like the canned soup! Loving this months release. How cute is that soup can?! Loving it all! Wow, I am loving those new tag dies! What great peeks, can’t wait for the rest of the projects! The comfort foods set is fabulous! And the framed out series if so fun. I really love the tags, as well. Amazing projects. How exciting! Love what I’m seeing in this November release so far…BEAUTIFUL projects! I absolutely love Tag Sale 7 (a surprise, even though I saw it on Heather’s blog! )… the stamps sets are great and YEA for Sweet Blush :)!! Loving the tag sale dies!!! It is on top of my list! 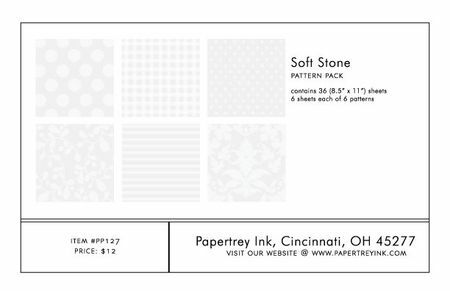 I can’t believe I don’t own any soft stone cs – will have to remedy that, especially now with the pattern pack being offered. And love the sweet blush pattern pack. And the tub of ice cream looks like Edy’s, which is my fave! What a perfect theme for such a cozy month! I love the comfort foods peeks and the subway art is really neat too! Thanks for sharing all the projexts today. Always great inspiration! The subway sentiments are really different. A must have. Love Love Love all the sentiments in this realease. So nice of Heather to show us her tricks. Thank You! Great sneek peaks so far, can’t wait. These cards are great. I just love the little soup can. Awesome stamps! Love the soup can!! So excited about the sentiment signs! Love all the new stuff so far!!!!! Love the butterflies in Heart-2-Heart #10 and the new frame in Framed Out #10! Can’t wait to order. Like the “thank you” card! with the soup can! How clever! OH! I am super curious about that cable knit background stamp! The layering effect of the tag dies is genius! I am happy to see the patterned papers in Sweet Blush. I’ve been waiting for them for a while. Can’t wait to see the other stamps in the Sentiment Signs set. Great release so far! Everything today is just right up my alley. Love the styles, the fonts, the beautiful cards. I can’t wait! I love those sentiments and the comfort foods set. So cute! I am totally digging the sentiments shown here! Wow! And I love the get well theme–a theme I need wayyyy more of in my stash. Yum – comfort food – and the sentiments – what a great combination. I am looking forward to these sets! Love the new pattern paper colors of blush and sand. Love all the new sneaks! Embossing gives everything such a nice pop! Hope seeing it here means it’s making a comeback! Love the Comfort Food idea!! I am going to get a lot of use out of that little set. So excited for Soft Stone and Sweet Blush patterns!! YES!!! Ooh. I love the font in Comfort Food. And I love Tag Sale #7. Simple yet I love the detail of the photo corners. And your first card today is gorgeous. Beautiful colours framing the sentiment. Just perfect. I’m liking the new dies, the tags, love all the sneak peaks, very pretty! Thanks for more wonderful products to pick from as well as fabulous inspiration ideas!! I love everything! The comfort food set is adorable! I just love this release! The tag die’s are so cute, and the Comfort Food set is just adorable! Can’t wait to see the full release! Everything is so darn cute and love the tag & party favor additions. So clever! I love your first card a lot! That is really beautiful! What a fun sentiment set! Excited to see more! Sentiment signs=adorable! Can’t wait to see more! Love the colors of the patterned paper packs this month! Great combo!! Sentiments Signs looks like a great sentiment set. The Sweet Blush paper set is really cute. The Tag Sale die set looks great too. I am loving Comfort Food!! Great samples! How fun, fun, fun! Love he new Comfort Food set and all the new dies! Looking forward to the rest of the countdown! Great projects, btw! I love looking at all the projects! Adorable! Can’t wait to see more tomorrow! What cute things you can do with that Comfort Food set! I’m thinking that’s going to be my favorite! Oh, I just LOVE that new Comfort Food set–can’t wait to see the rest of it! I’m thinking that one is a must have. Another great day of inspiration! The tag sale dies are my favorite! Super cute! Love all the cards you created for this release, I can’t wait to see what the DT ladies create! Thanks for the chance to win! Just love the little soup can and spoon! Really enjoyed today’s projects…the subway style stamps are great. Can’t wait for this Monty’s release. Great project showcased today! Love the projects and the tag sale set of dies. Looking forward to seeing the rest of the release! I love the frames and the soft stone patterns. Gay! Sweet projects! I really like the looks of the new Tag Sale! I always get lots of use out of these. That soup can! I love it! Your projects are fantastic! Oh, and I LOVE that tag – the perfect, perfect shape and size! I love the topography on the sentiment set. The new Tag Sale die is awesome. The Comfort Food fills a need in my supplies – I can’t wait to get that one! Love the contrast of Smokey Shadow card stock as a background with bright colors accents! I really like the Sentiment Signs, but I don’t think I would be brave enough to cut it apart like Heather. The Party Poppers set looks like so much fun! this is turning out to be a great release…and it’s only Day #2! Loving the tag dies. I like those for holiday packages! As a knitter I can’t wait to see the rest of the projects. Wow, the soup and bowl dies are super cute! You make the best stamp and die sets, hands down! I love the Tag Sale #7 and the Framed Out #10 dies. And the new stamps are awesome! Can’t wait to see more!!! You gals keep killing my budget! Every month I swear I’m not going to go overboard, and every month you come out with amazing stamps, dies and papers! The subway art stamps are amazing! Can’t wait to order on the 15th. Love your card with the Lace Bouquet. I really like the comfort food card. I can think of so many ways to use this. I love the vibrant colors of the first card. They shout out to me. Love the Framed Out 10, tag sale and sentiment signs!!! Can’t wait for release! Love the new Tag Sale dies! Love the soup can and the framed out. Such awesome samples. Can’t wait to see what the design team comes up with. Thanks for always providing such beautiful designs. Love the new images with the embossing! Beautiful. It has been a long time since a well wishes stamp set has come out that is of a high caliber – yep!, you gals did it!! Thank you. Oh the soup can is sooo cute! I LOVE it!! Love the new Tag Sale die and the subway style stamps have intrigued me! 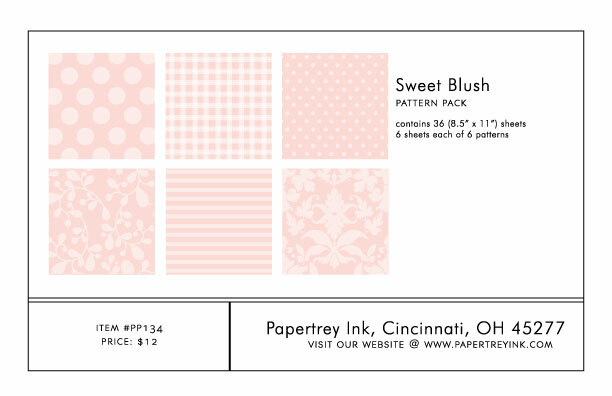 I am also totally excited for the new Sweet Blush Patterned paper!! I can’t wait! So exciting. Lovin it. Thank you. I love the new tag and the paper! I am really liking Tag Sale 7. I think it would be great for card making and scrapbooking. Can’t wait for tomorrow. I really like the the tag dies and would love to put the in my collection! I am loving the addition of Tag Sale #7 and that the new Comfort Foods has coordinating dies! PTI rocks! The sweet blush paper pack is so soft and lovely! I am always amazed by the fun, creative and versatile ideas for sets that you and your design team come up with, Nichole!!! The examples are so inspiring!! Thank you so much!!! Oh how I love those comfort food stamps, and the tag die cut looks fun too! Mmmm, good! Love the get well set! Love the new comfort food set and the new tag sale dies. I really liked the circle die plate from yesterday too. Awesome new Tag Sale dies, and Soft Stone patterned paper. Lovin’ everything, but what especially cought my eye this month was the thread spool stamps. Can’t wait to see what you ladies create with them! Amazing as always!! How will I ever pick the ones I can’t live without? Great examples! Looking forward to a new month of releases. That soup can is just too cute! 🙂 Great inspiration! I love anything to do with cooking, kitchens and home spun creations. Darling projects. So many cute things! I love the subway sign set! Comfort food looks like a must have! And the tag dies will be nice to use with any stamp set. As usual, the projects show the versitle uses of your products! It will be so easy to create great tags with Tag Sale #7. I love the layers. So many awesome things! I love that soft stone paper! The soup can is so cute. Love the get well cards you could make with it. Can’t wait to see what’s next. Love your Campbell’s soup inspired card! Loving the subway words!! Love the sneaks today. The wine party card is amazing. Super cute projects! Love the new tag and the sentiments. TFS. The soup can is ADORABLE and anything knitting is for me! Way to go PTI!! The DT rocked it! Beautiful cards today. These new sets look very useful, and I just love the Tag Sale dies….can’t wait to add another one to my collection. Another great day of inspiration…I can’t wait to see the rest! Love the subway art type sentimetns – what fun! Oh I love all the ideas today – so beautiful! And the soft stone paper is gorgeous – love it!!! All fabulous as always, but that little can of soup is the cutest thing ever!! LOVE it!! So fun!!! Love the inspiration & peeks so far! And be still my beating heart- that soft stone printed paper…sigh! Love the “feel better soon” sentiment & the can of soup…adorable. Also love the “happy healing” & bowl of soup. Who wouldn’t feel better after receiving those? What a fun and interesting new release, can’t wait to see it all. Love the soup stamps! Can’t wait to get them!! Love the new Tag Sale die set and the circles coverplate from yesterday! I really like the tag sale dies! Great projects too. Love the Comfort Food, Subway Art, Tag Sale #7 and the new patterned papers! Can’t wait to see the Sentiment Signs…love the thank you card! Beautiful projects today! Love the new Tag Sale dies and as always the new Framed Out. Good to see two more patterned paper colors. I love all the cards. My favourite in this release is the tag sale #7, I like how you used it in your third card, the layering possiblity is a bonus, I love it! TFS and for the chance to win. Excited for the new tag sale die. Love that it has layers. Another day of great ideas and inspiration. 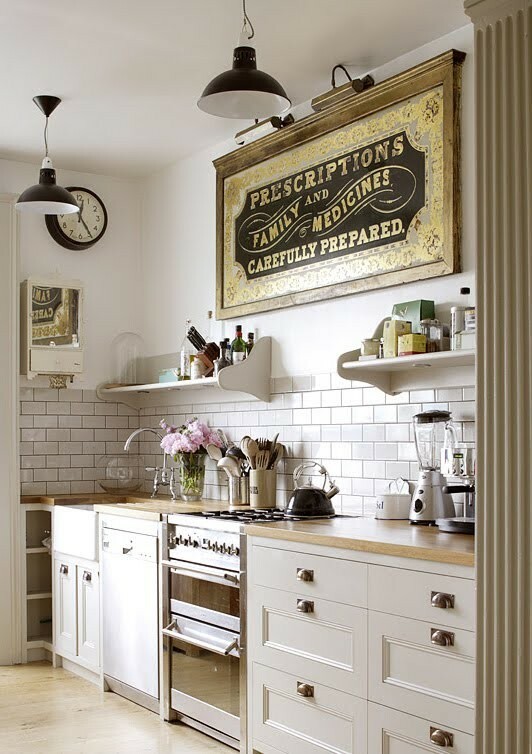 Sentiment Signs add an express touch of sophistication and Comfort Food is soooo cute! That has to go down as the snuggliest stamp set on record lol. I love the Signature Sign set! It is unique and classy and so beautiful embossed. I really enjoyed everything that you previewed. It is another great release! Loving the new Tag Sale Die set- so many possibilities! Like that new tag die and the sentiment set. Don’t know if I could dare to cut it apart like Heather did though. Thanks for the chance to win! The new Sentiment Signs stamp set looks so cool, not to mention versatile. I’m liking the new products showcased so far this month! So many beautiful new products to love! And so many beautiful cards throughout all the blogs! I am loving all these new products! I can’t wait to play with them! I love the Framed Out die. And the first card is stunning! 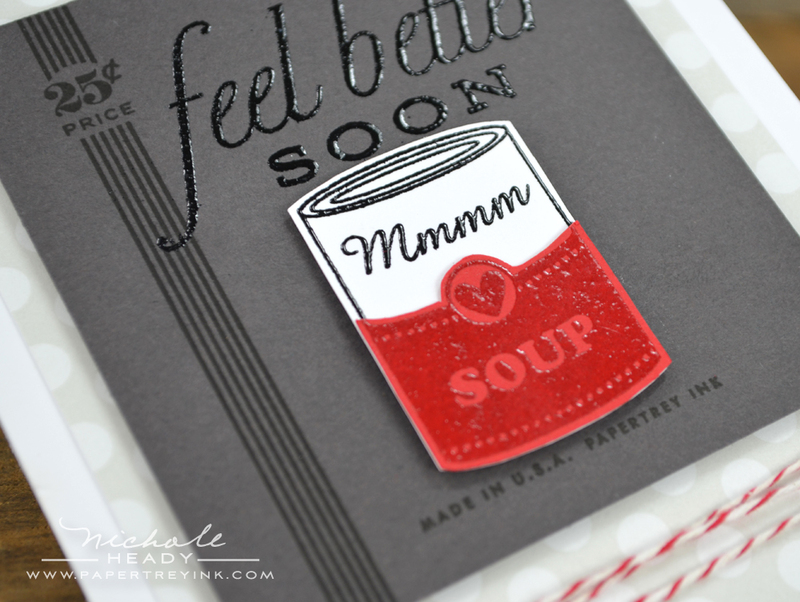 Love the new tag die & the cute soup can from the comfort food set-perfect for a quick winter get well card! Loving Comfort Food and the new Tag Sale. Lots of wonderful ideas and so much variety! More great stuff. The soup can and pint of ice cream dies are so cute. I have to get my tags of course. Can’t wait to see what else you have planned. I LOVE the sentiment signs set! Yet another example of how your fabulous team simplifies card making. Love the bright flowers on the smokey shadow background with embossed sentiment. What a cool look! Oh the sentiments are awesome! Maybe it’ll be the first set I cut up for all those possibilities! Love..love…love the tag dies.Beautiful samples Nichole to get out creative juices going…thank you! As usual PTI is spot on with graphic trends and translating them over to fabulous sentiments. Really like the big focal point which makes it easy to create a clean design- brilliant! So love those sentiment signs, the new dies, and the paper! As always the design team does a fantastic job of making it ALL appealing! Just love the new colors being released in the paper packs. Soft stone has always been a favorite! Such beautiful cards! I love the new patterned papers, and the new dies are so exciting. PTI always inspires me! My favorite sneak peek was the Sentiment Signs,and the today’s post confirmed that it’s the stamp set for me from this release. Sentiments are the most used stamps in my stash. So versatile! The Tag Sale #7 is going in my order. Love the layers and options as a result. Thanks for designing such inspirational products! Love the new tag sale with its cute little frame – nice idea ! Oh I’m all for the framed out set! It always adds the special “something” to make a card stand out! What a unique combination on your Lace Bouquet card. Love that frame. Tag set looks great! The papers are a must! I love the comfort food. There is so much you can do with that. I always love all of your stuff. Love Comfort Food, that can of soup is so adorable! Oh wow what lovely tempting releases this month! Yummy! Love the new tag with the photo corners. The comfort food collection looks good too. Love, love, loving the sentiments embossed on the dark cardstock…WOW and the frames…sigh…..
More inspiring and enabling projects from all. I’m happy to see Sweet Blush patterned paper. Love the stamp sets you introduced in this post! I especially like the sentiment set, I love all your samples Nichole! I like the soup and ice cream stamps & dies, and I can picture using the framed out #10 for a miniature tissue box. Great ideas! Thanks! That tag set! Awesome! And the new Framed Out is so sweet! Oh, all of the examples are fantastic! WOW is the word. Everything is a must have and I love all your cards. Love the Sentiment Signs–huge fan of the subway art! Great new products! I would love to have the new tag sale dies. I don’t have any of your productw, yet, but I’m hoping to one day. My list is growing longer with every new release! That tag is to die for. Can’t wait to get it. I love the sentiment signs! 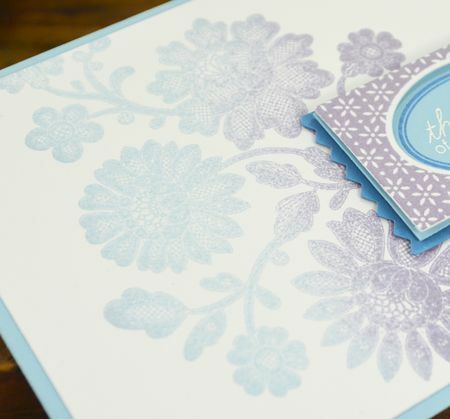 The bold floral card is just gorgeous!! All your cards are so cute!! Gotta love anything with a Campbell’s soup theme! Wonderful projects. Love the combination of all the sets used. This is going to be a fabulous release. Beautiful projects today. I love the black embossing on the smokey shadow paper. I have to remember to do that. Thanks for the inspiration. The soup can is wonderful- I feel better already (I’ve been known to make myself a get well card, silly, I know)! OH SO PERFECT LOVE THE SOUP CAN. Gosh – what lovely effects you have produced!! Can’t say enough about the frames!!! They are so versitle and even though I have many I still feel the need to have them all! Very clever, I am always in awe of the nre releases. Such creativity and variety in your collections. I really the Soft Stone papers and all the heat embossing here. Really shows off those cool sign-inspired sentiments! I love the creativity shown here with these stamps, great projects!